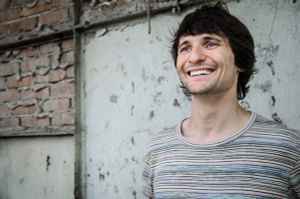 In 2007 co-founded electronic music label [a:rpia:r] with his friends Rhadoo and Petre Inspirescu. Intrigued by the buzz on this young Romanian DJ i went to see him the other night and well i'm pleased to say that it is probably one of the best house and techno DJs i've ever seen. This guy's got the devilish groove like no other, would he play house, techno or more minimal-orientated stuff. Picture the more straight-forward, percussive side of Ricardo Villalobos and you're near there : rhythm whirlwind, impeccable mixing technique, funky and smiling attitude and this rare ability to squeeze the best off records that would sound dull if played alone. Plus a real musical culture for such a young age (he's less than 25 apparently). A mesmerizing talent, and surely a star in the making. Favorite Dj's...from Romania by Valentin-A.